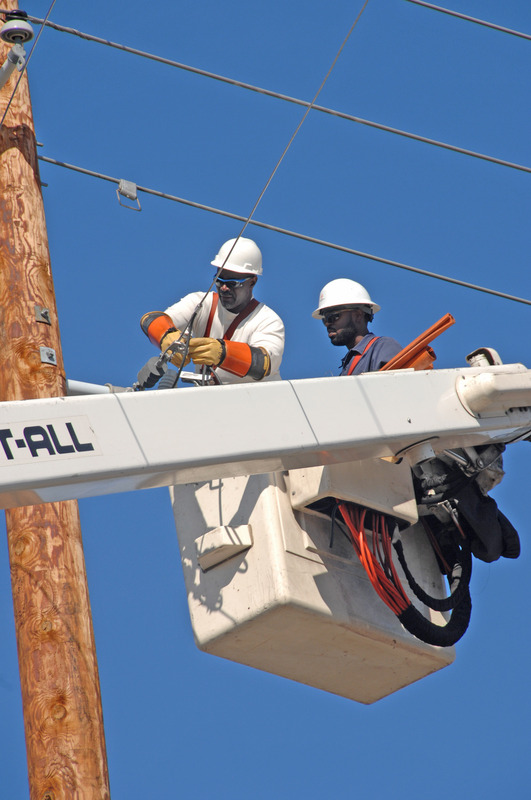 WASHINGTON, D.C. – On May 18, 2015, CPP was honored with the Reliable Public Power Provider (RP3®) designation for its commitment to the highest degree of reliable and safe electric service by the American Public Power Association (APPA). The RP3 designation recognizes public power utilities that demonstrate proficiency in four key disciplines: reliability, safety, workforce development and system improvement. “Receiving the RP3 platinum designation for a second two-year term means a lot to us,” said Ivan Henderson, Commissioner of Cleveland Public Power. “It’s an honor to be recognized on a national level for the work we are doing here in Cleveland. It is a testament to the dedication of our employees to their community,” he said. The RP3 designation comes in three levels – gold, platinum and diamond. The RP3 program designates four specific areas to measure a utility’s adequacy in providing system proficiency. Reliability represents 30 percent of the total points required; safety and work development each represent 25 percent and system improvement makes up the remaining 20 percent. Criteria within each designated area are based upon sound business practices and a utility-wide commitment to a safe and reliable delivery of service.